Vietnam will hold a state funeral and national mourning this week for President Tran Dai Quang, who died last week of a viral illness at age 61. His passing is a "great loss to our Party, state and people," the announcement said. He died at a Hanoi hospital on Friday. State media quoted a government doctor as saying he died due to a rare virus but the reports did not identify it. World leaders have sent condolences. President Donald Trump, with whom Quang hosted his first state visit to the communist country last year, called Quang a "great friend of the United States" while Chinese President Xi Jinping said Quang was "close comrade and friend of the Chinese people." A career security officer, Quang rose through the ranks to be minister of public security in 2011 and was elected by the National Assembly as the nation's president in April 2016. 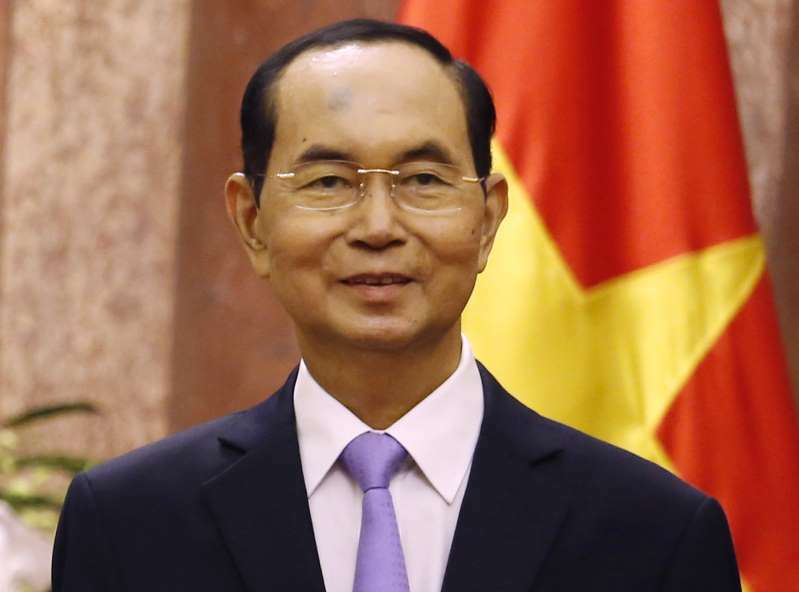 Vice President Dang Thi Ngoc Thinh has been named acting president. No date has been given for the election of a new president. The country's other top leaders are Party General Secretary Nguyen Phu Trong, Prime Minister Nguyen Xuan Phuc and chairwoman of the National Assembly Nguyen Thi Kim Ngan. Analysts say Quang's death is unlikely to shake up the Communist country's politics which are led collectively.